On August 13, Iran’s Supreme Leader, Ali Khamenei came to the scene and claimed that Iran’s establishment was not in a deadlock. Two days after this claim, senior officials talked of the dangers of upcoming crises on state-run TV. Jannati, Khamenei’s closest ally, Iran’s Minister of Interior Affairs and officials in line with Iran’s President Rouhani, all cried out and warned against the danger that threatened the very existence of the regime’s establishment. This threat is no other than the MEK. Mohammad Atrianfar, a so-called reformist, acknowledged the role of the MEK in the downfall of the regime adding that, “the group had the most history, and was the oldest and largest organization with the intention of subversion”. "In these times of protests, the establishment should block the areas the subversives are taking advantage of and solve the dissatisfaction of the people and take steps for reform”, he added, openly expressing his concerns over popular protests. Gholam Ali Dehghan, a pro-Rouhani official, expressed concern over the importance of the word “subversive” (Barandaz) in political literature. 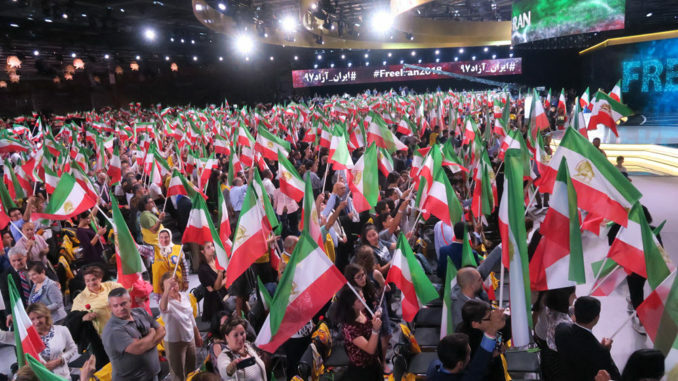 “The real example of subversives are the MEK… In reality they want to take advantage of the waves of dissatisfaction and organize their own movements”, he said. "The Monafeghin (the hypocrites used by the regime in reference to the MEK) rule cyberspace”, a state run website wrote on August 15. “For those who are familiar with the practices of this organization, this statement is in no way an exaggeration, but is a reality”, Tehran Press website wrote. “In most Telegram groups, including political groups and many social groups, this (MEK) culture is widespread”, the website added. It is very clear from these statements that the Iranian regime fears an organized uprising; an uprising with the MEK at its very core.